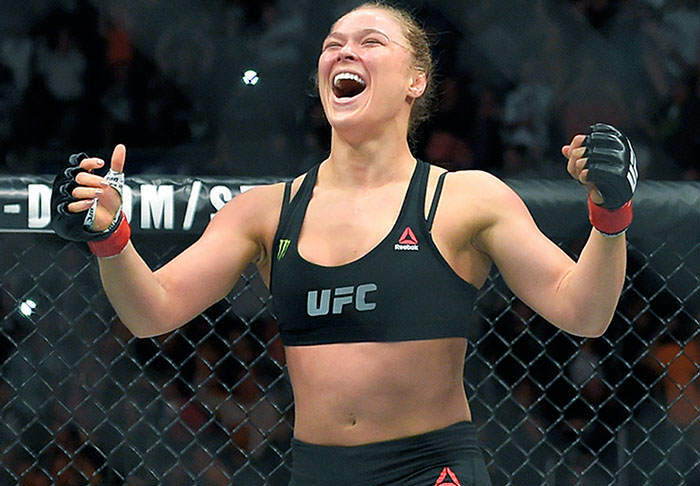 Ronda Rousey will fight in 2016, but fans will have to wait until at least November to see her in action. That is the news revealed by UFC president Dana White during an interview with TMZ Sports. White told viewers that the former women’s bantamweight champion has recovered from her devastating defeat to Holly Holm, and is on the road to returning to the octagon. She’s in a great place mentally, physically, emotionally. Every way you can be good, she’s good. She’s talking about coming back at the end of this year. So, she’ll either come back in November or December. She’s ready again. She’s ready to fight. It is the best news Rousey fans have been delivered since discovering apples were no longer an issue for the Olympian. Who Rousey will face is some way off being decided, but Cris ‘Cyborg’ Justino will no doubt be throwing her hat into the ring to welcome the American back.